Restaurant Week 2018, it all begins in just ONE WEEK from today! This annual event is something that my husband and I look forward and countdown to all year long. We often joke that the timing of restaurant week is perfect to celebrate our anniversary which is at the end of February and often laugh saying that it must have been planned in our honor. Once the new year hits the official countdown begins in our minds. We start to feel like we are prepping for a college exam but in the VERY best way possible. We wait with great anticipation for the restaurants to release their menus and then we study them, we research and then we study some more and we compare menus. We map it out, we add it up, we look at our budget and all the while we're getting hungry, very very hungry. Word to the wise don't look through the guide on an empty stomach, you'll regret it, trust me. This really is a fantastic way to get out and support the local food scene and invest in our local economy while enjoying some delicious food and making special memories. 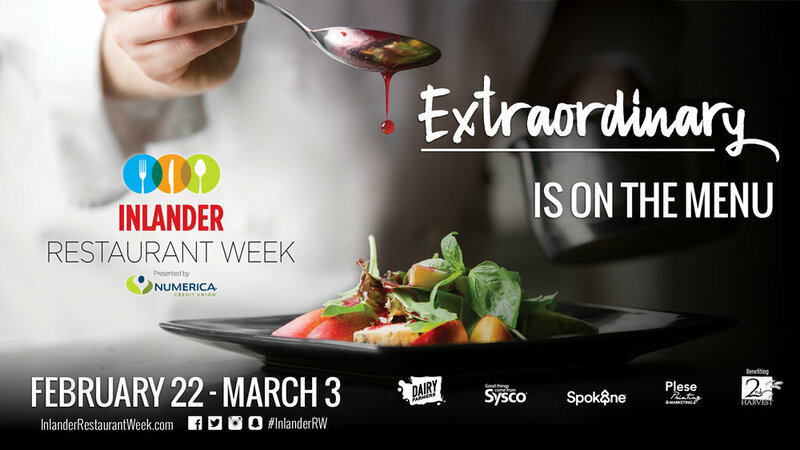 Inlander Restaurant Week which is presented by Numerica Credit Union will run from Thursday, February 22nd to Saturday, March 3rd. There will be over 100 restaurants from the Spokane/C'da region participating this year. Each of the participating restaurants will offer a 3 course meal (a starter, entree and dessert) with a fixed price of either $21 or $31, this price will vary from restaurant to restaurant. There are 3 choices per category so you are able to customize your 3 course meal. When you visit the Restaurant Week website or use the hard copy guide you will see that you can browse and find all the participating restaurants by neighborhood, cuisine or price point. One of the aspects of Inlander Restaurant Week that provides a positive impact in our local communities is its support of Second Harvest. Every time a photo is shared and the hashtag #IRWRaveReviews is used during restaurant week on public accounts of Instagram, Twitter and Facebook Sysco will make a donation to Second Harvest. There is even something new and exciting this year as well, some of the participating restaurants will have a "donation" line on the dining bill. If patrons would like to donate a specific amount they may do so. For every $1 donated Second Harvest will feed 5 people. When I started to think about writing about Restaurant Week this year and how exactly I wanted to share about my love for this local, annual event I had a fun idea pop into my head. What if I made it a community blog post in the sense that I reached out to other locals who had dined out and participated in restaurant week in the past and asked to share their common love for this event. So that's exactly what I did and I received an overwhelming yes response from those I reached out to which just to. It really is a highly anticipated community event and I am so thrilled to share some of the personal experiences and excitement from locals with all of you. I know these testimonials will leave you feeling excited, hungry and ready to make you reservations for restaurant week. "I had heard of all the “big cities” having a restaurant week and my foodie heart was always so jealous. So when Spokane finally joined them in 2013, I was ecstatic! I have participated every year since. I love getting a chance to not only explore the variety of restaurants that our city has to offer, but also to be able to try multiple items for such a reasonable price! I encourage everyone to participate. Not only because of the amazing food (that’s a no brainer), but also to come together as a community to support the growing food scene. Our local chefs have worked so hard to bring good eats to Spokane and restaurant week is the perfect time to give them some much deserved recognition." "Restaurant Week is my favorite week every year. I love discovering new restaurants and falling in love again with favorite establishments. I think Restaurant Week is an brilliant way to shine a spotlight on our local chefs and their talents and a way for the people of the Northwest to try and experience new and wonderful dishes and restaurants that they might not normally think to try. It is an experience you won't want to miss." "Restaurant week is one of the most unique and anticipated times of our year. I wish it wasn't only a week as there are so many venues that I would love to take in! I joke with Sarah that I'm gaining weight just looking at the menus! I think it's fantastic to see all the creativity and so many restaurants bringing their best game for this week. When making my decisions, I look for the menus that stretch my current experience and push the flavor envelope. This week has always given us some of our best food and family memories." "I look forward to Inlander Restaurant Week every year like a little kid looks forward to Christmas! The best part of the event is getting that fresh, new Inlander with all of the participating restaurants and their menus. It's like reading a food love letter. My husband and I pick our favorites, and then cross-reference to see where our picks match up, and then we plan our date nights based on each location. We get to try lots of wonderful local establishments and find new favorites - getting to mix and match our selections with the unique menus they offer makes it an exciting dining experience! The price point makes it accessible for anyone to try the best restaurants in town. We especially love that it benefits 2nd Harvest, which is a fantastic organization whose work I see with my own eyes every day in my classroom at Trent Elementary. Our sweet students depend on their Bites To Go for the weekend, and it warms my heart to see those needs met." "It’s a fun date week we get to spend supporting our favorite restaurants and trying out one or two that are new to us. I always feel that we get to try something unique, something trendy and a dining experience that feels it is created just for us at an amazing price point. So instead of heating up leftovers, the usual mundane dinner, take a few minutes and plan out a new (or favorite) place to visit during Restaurant Week. We know you’ll be looking forward to it just like we do each year!" "Restaurant Week is a beautiful excuse to try new places, get away from your normal restaurants for a few days, or just get out with a loved one on a special date. I absolutely love taking part as much as possible, planning out the days, and hitting as many participating restaurants as I can. The menus are always awesome, and you can’t beat a multi-course meal for $21 or $31. Having those fixed prices is one of the cooler things about it, allowing us to hit some of the nicest restaurants in the area without emptying our wallets. Restaurant week was something I had never experienced a town do until I moved to Spokane, and it’s one more reason to love our beautiful little city." 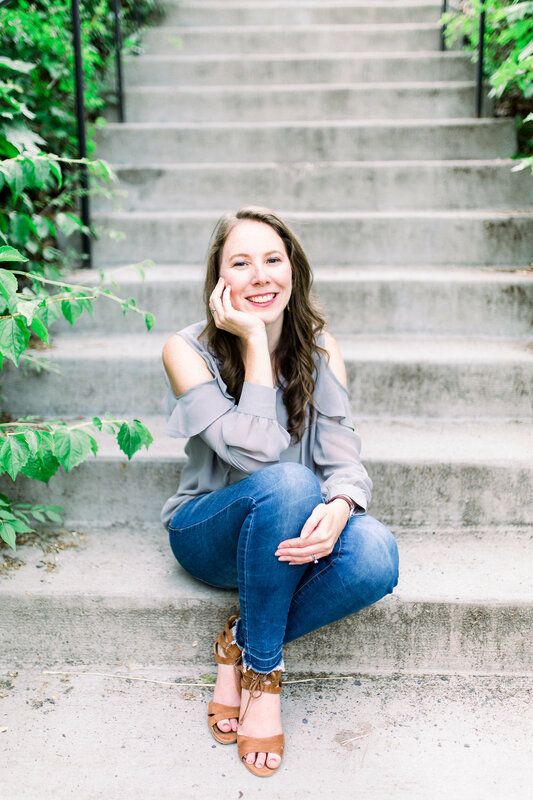 "Restaurant Week is probably my husband's and my most anticipated event in Spokane every year. We have four kids and have very busy schedules, so date nights are hard to come by, and since we're both die-hard foodies, exploring the vast variety of restaurant choices in the inland Northwest can get expensive really quickly. We love that most of the highest-rated restaurants in the Inland Northwest participate in this event, and offer some of the best things on their regular menu as part of the three-course prix-fixe dinners. As soon as the list comes out each year, we take to planners and rank our top five to ten. Then we schedule time (and budget) to go to each of the ones on our list. I take pics of all my food (of course), and my husband takes notes of what he loves of the menus we end up trying. It's such a fun time for us to exercise our foodie-nerdness and a chance to get some alone time together as a couple. Fave Restaurant Week spots: Wild Sage has always been our top pick. They have the best creme brûlée in town! Casper Fry has some top-notch entrees like catfish stew and pork belly, and Fleur de Sel makes amazing French cuisine more affordable during restaurant week!" A HUGE thank you to all those who contributed to this blog post. I am so blessed and thankful to live in an area where there are are so many wonderful locals who get out and support these wonderful local restaurants and culinary teams. We love our Spokane food scene!! Older PostThe Brunchkin - "Breakfast, Lunch & Mischief"